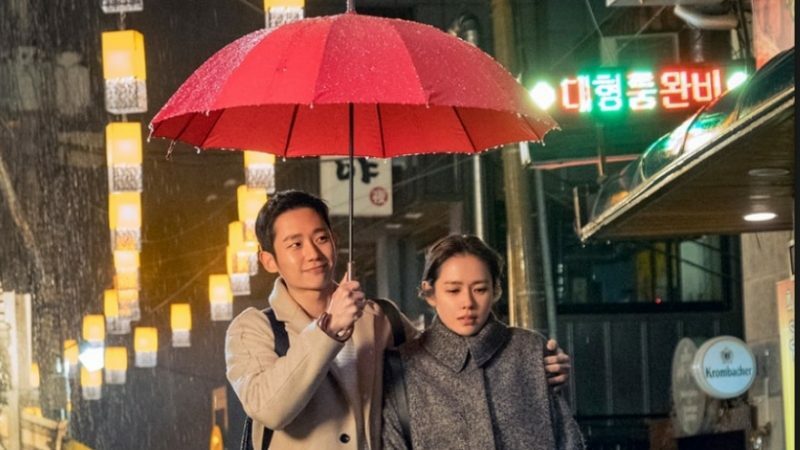 The Korean drama “Something in The Rain,” also called “Pretty Noona Buys Me Food,” uses a love story, as sweet as spun sugar, to illustrate the effect of South Korea’s encounter with the Me Too movement. The Me Too movement has prompted gender-related conversations around the world and emboldened women to take a stand against harassment, but Korean women face challenges specific to the culture they’ve grown up in. Yoon Jin Ah is a “good girl” despite her age. She does what her parents tell her, goes along with dubious drunken behavior at company dinners, and lets her cheater ex-boyfriend talk her into dangerous situations. Throughout the course of the drama she learns to stand up against her cheater ex, her family’s outmoded traditional view of marriage and against sexual harassment in the workplace. In a sense, she is Everywoman. As the trials of Yoon Jin Ah’s sweet but troubled relationship stay in the forefront of the JTBC drama, the Me Too movement slowly draws her in. The women in the office where Yoon Jin Ah works have been harassed by their male superiors, but remained silent. This mirrors a 2016 survey by Korea’s Ministry of Gender, Equality and Family, in which eight out of 10 respondents said they experienced sexual harassment at work. Almost all remained silent. The female colleagues in this drama talk about what’s done to them and assume it’s not worth speaking out. Standing up to any superior, particularly a male one, is a relatively new concept in the traditionally patriarchal society—and the hierarchical Korean workplace—that could cost them their jobs. There’s also the embarrassment of admitting to being a victim of harassment, a burden that only the women will carry. Throughout the drama Yoon Jin Ah keeps saying she’s sorry because she feels responsible for making everything right and for any harm that comes to those she loves. Really, she should not always be sorry. Sometimes she should be angry. Fortunately, Yoon Jin Ah changes and eventually she is strong enough to stand up and demand respect. The soundtrack, which is a cover of Tammy Wynette’s song “Stand By Your Man,” might seem an odd choice for a k-drama, but the song was carefully chosen for its controversial lyrics. Wynette recorded her song in the 60s during the feminist movement. The song was immediately controversial, with women criticizing her for lyrics that said a woman must stand by her man even if he behaved badly. Not only does Yoon Jin Ah’s first boyfriend cheat, but her mother implies she should forgive him. Forces in Yoon Jin Ah’s office want the women to forgive the men for acting inappropriately. As it happened when Wynette first released her song, societal changes are underway, making it too late to look the other way. You can watch the drama on DramaFever.